Norwegian Family Business 2010 was under a constant little rain but it was fun. Anyway, not that kind of rain that could stop us from doing what we do best: rocking some big burners! 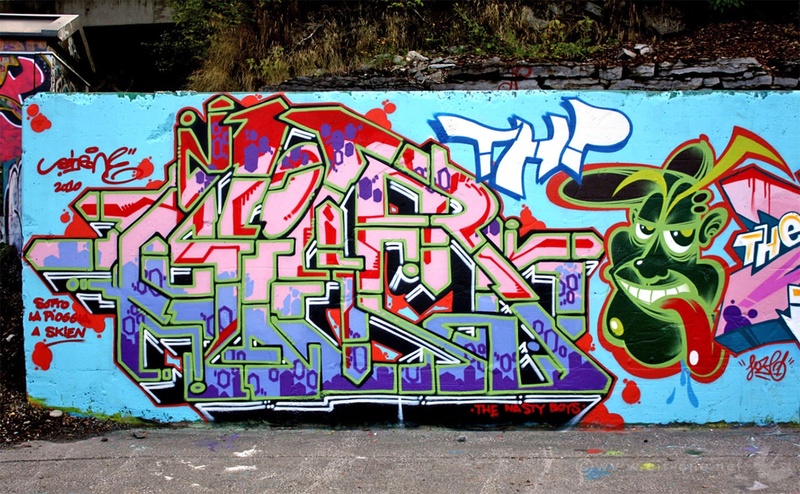 Down here it comes first day’s production in Skien together with Loze, Merk, Achoe, KayOne and Dreams.